One of the most exciting things to add to your house is a bar. To have your own bar means you've made it: you can stock the drinks of your choice and have friends and family over for a variety of events, from sports to awards shows and everything in between. One tragic mistake is having stools that are the wrong height, leaving your guests with bruised knees or spilled drinks from ill-fitting bar stools. Don't make that mistake...measure twice and buy once. Measure the height of your table, bar or countertop using a standard tape measure and write that number down. Measure the length of your table, counter or bar and write that number down, as well. 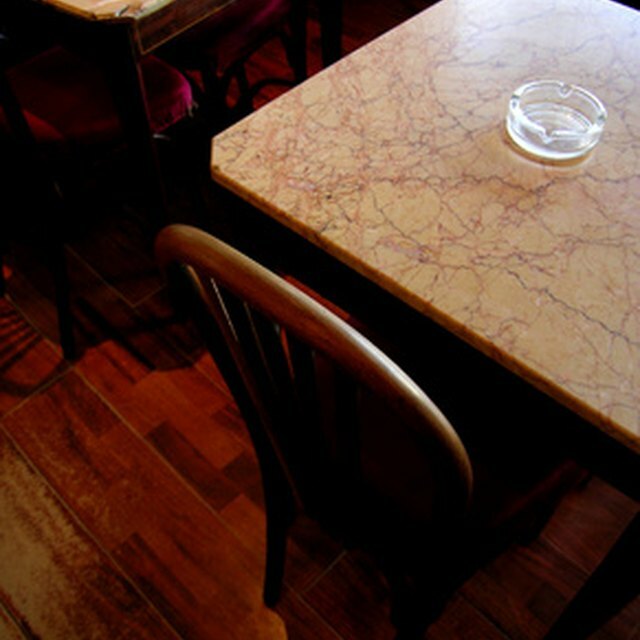 Subtract between 10 and 12 inches from the height of your table/counter/bar. This is typically the recommended height for your bar stools. Divide the length of your bar by two numbers: 21 and 24. What you get when you divide by 21 is the number of small stools you can fit comfortably. When dividing by 24, you get the number of large stools you can allow. Search for a set of bar stools at home furniture stores, department stores, home improvement stores and the like. Aside from measuring for the height of your bar stools and the number you can fit comfortably, there are other things to consider. Specifically, the type of stool and whether you want arms or not, or even if you want it to swivel. These are all personal preferences, but any type of game room furniture store will have more than enough options to whet your whistle.